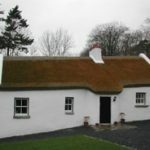 This listed former dwelling was uninhabited for 50 years but has recently been successfully converted to self–catering holiday accommodation. A long single–storey, one room deep structure, it has a typical hearth–lobby plan form, complete with jamb wall and spy–hole. 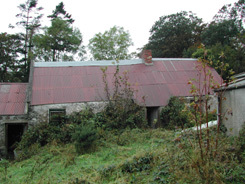 Built into a hill, with the gable end facing towards the road, it has been extended longitudinally over its lifetime, hence the stone–built outbuildings stepping down the slope. As part of the reuse scheme, the ground level around the cottage has been lowered and the external walls underpinned. 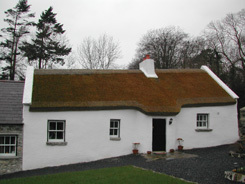 The roof over the original living accommodation has been re–thatched, while the outbuildings are slated with Bangor Blues. Internally, the accommodation comprises: three en suite bedrooms, including one on the first floor; a living room; kitchen; and storage space. 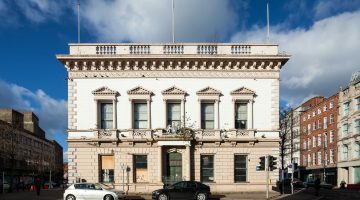 Environment and Heritage Service; Invest Northern Ireland under the Single Rural Self–Catering Scheme; and the owners’ own resources.